All my life I thought I would be a die-hard city person. 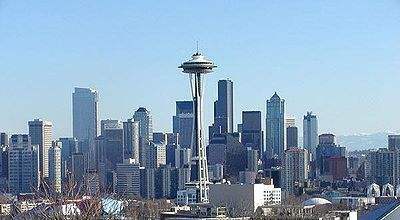 I was raised in the center of Seattle, and I always found comfort in the never-ceasing sounds, sights, and movements of the city. Living among the lush rainforests of the Northwest I often went camping and hiking, and this instilled an appreciation of nature’s beauty in me from a young age. Nevertheless I always felt relief at the first sight of the skyline driving home from a camping trip. As I got older, however, the frantic pace of city life in which I had once found solace began to take a toll on me. Living in an urban environment definitely has its advantages, but they come at a cost: monthly bills, a job to pay those bills, the stress of commuting and worse air quality, among others. I have struggled off and on with anxiety and depression, and I began to feel that the stress of my lifestyle was contributing to those problems. I was successful but not satisfied; I needed a new way of life, one that would give me a stronger sense of personal value. Moving to a rural part of the Big Island of Hawaii led me about as far as I could get from my former city ways. Even the bigger towns on the island are still a fraction of the size of Seattle. Stepping off the airplane and entering the mostly outdoor Kona airport, greeted with smiles and warm, fragrant island air, I knew I had found the change I was looking for. As we settled into our new community, we realized we would have to reevaluate our standards of what a “good life” meant. It is not unusual to see houses made from plywood and other scrap material, or even converted freight containers. Our new home was a yurt, a tent-like structure originally used by nomadic peoples in Central Asia. We were also, for the first time, living off-the-grid: we rely on solar power for all our energy, and a rainwater catchment system for most of our water. As we got settled in, we realized why so many people out here choose live in unconventional homes. It simply makes more sense. The weather is warm year-round, and most houses have large outdoor lanais, Hawaiian style porches that can sometimes be as big as the indoor portion of the house. During the summer months when our yurt was too hot during the day we spent almost all our time outside. While we didn’t have to pay bills like back on the mainland, we still had to work hard to sustain ourselves. Instead of punching the clock Monday through Friday, our days consist of maintaining a three-acre property and all of its off-grid facilities. We never know exactly what that will entail: from monitoring water levels in our catchment tank to pulling invasive weeds from the lava rock which surrounds us, we are always busy. 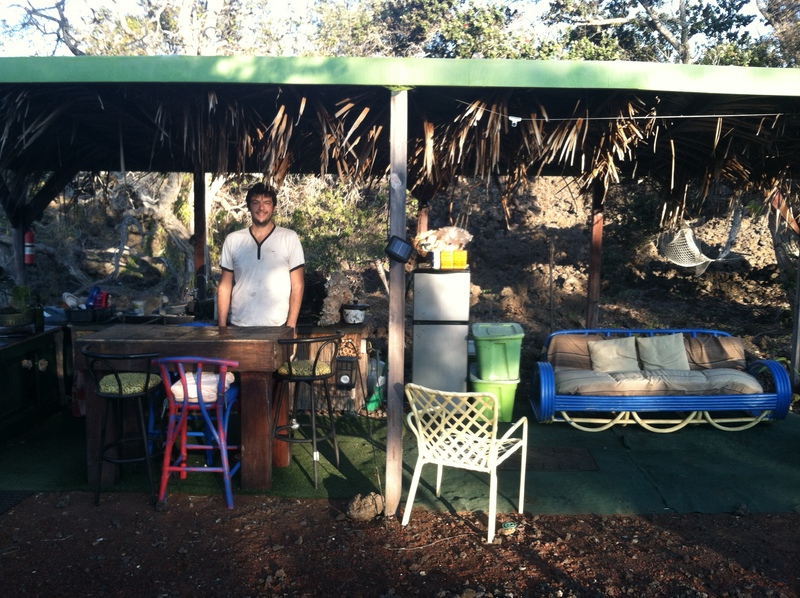 Adopting an off-the-grid lifestyle has been a lot of work, but it has given me the sense of fulfillment I found lacking in the nine to five grind. Being in closer contact with my natural environment every day, I’ve come to notice many things that get lost in the human-paced world of the city. Because we rely on solar power, the sun is a huge part of our day. When we first got here, we were still on a city sleep schedule, which meant it wasn’t unusual to stay up until one a.m. We quickly realized that it would be much more advantageous to wake up with the sun, which mean around six a.m. This gave us more time in natural light, which meant less power used for lighting at night. Our yurt also gets very hot during the day, so waking up with the sun also gave us more time to work on projects inside before it got too hot. The sun even affects our showering routine: if it’s an especially hot day we can take a solar-heated shower, which means we don’t have to resort to propane. Because we rely on a catchment system for our water we have to be careful how much we use, so we’ve also learned to significantly shorten our showers. Our water catchment tank sits right above our outdoor shower, and it makes palpable the fact that we are consuming a limited resource. After eight months living in a home without electricity no longer seems strange to me. As much as I have grown to love this way of life, I am now planning to return to the city, and live in San Francisco. I don’t see this as a betrayal of my off-the-grid ways, however. During my time in Hawaii I have learned that reducing resource consumption is not daunting or scary. It simply means being conscious of how you live, and having respect for everything that gives life.